History - May Brothers Lumber Co.
Dover May: Feb. 15, 1891-August 25, 1968: Was a logger and lumberman his entire life at different times, he was in business with his brother, and later his son Edwin May. At the summation of 4 generations of loggers and lumberman (over 100 years) May Brothers Lumber Co. Inc. (MBL) located on Kimper, KY has found much establishment in the hardwood lumber and wood products businesses. Our start stems back from our great grand-father, Dover May, as a logger logging on Pond Creek and Johns Creek of Pike County, KY. It is also note worthy and believable that Dover’s father, Thomas Jefferson May 1859-1897, was also a logger or at least a part-time logger, but little is known about him since he died at the early age of 37. Nonetheless, early in his career, Dover was in business with his brother William Anderson May and then later with his son Edwin May. In the 1920s and 1930s with the heavy involvement of the “Yellow Poplar Lumber Co.” in the area, it is most likely that Dover logged, sold, and floated much of his timber from the creeks of Pike County to the Big Sandy River for transport to the Yellow Poplar Lumber Co. sawmill. However, later, with the greater demand for local sawmills during the 1940s, Dover and son Edwin May operated their own sawmill. It was during this time, that sawmills would setup on a tract timber to be logged and milled on the same job site.But after the retirement of Dover May, Edwin May became a log buyer for the Wood Mosaic Corp., of Louisville, KY during the late ‘50s and the early ‘60s. 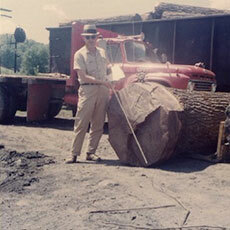 Nevertheless, in 1965 Edwin May started his own company, “May Log Co. ” of Meta, KY where he purchased and shipped black walnut logs, other veneer log species, and operated sawmills. 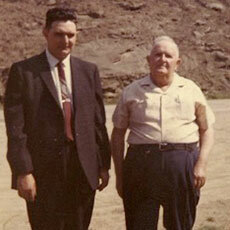 With two sons of his own, Larry and Don May, worked and learned the business after their father. 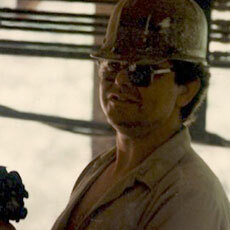 After approximately 15 years, Edwin retired and left his business assets to Larry and Don May where they then formed “May Brothers Lumber Co. Inc. in 1980. 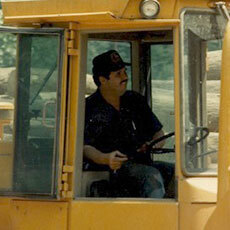 Since then, MBL has always operated a sawmill at its current location; buying local tracts of timber and selling lumber. However, in 2003 Don May retires from the business and Larry May becomes the sole owner and president of MBL. Today, MBL still operates the sawmill at 218 Sawmill Rd. Kimper, KY and now with the involvement of a 4th generation, MBL continues to weld its legacy of the past with the growth of tomorrow.